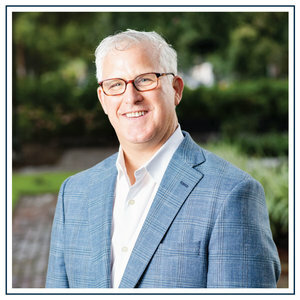 As one of six partners for Chatham Insurance Partners, LLC, Jamie is responsible for building and growing the Bond and Technology practice of the firm. In addition, he is also involved with the Medical Practices Team. Jamie has a strong background in sales and marketing strategy using a proven 4 step risk management process to help his clients and prospects understand and identify risk at the cellular level. After graduating from Hampden-Sydney College in 1988 with a BA in Political Science, Jamie worked in Philadelphia, PA for the Packaged Goods conglomerate, Unilever USA, selling their Master Franchise items known as Vaseline Intensive Care Lotion, Ponds Cleaners, Q-Tips, and Close-Up Toothpaste. Subsequently, he was promoted to the company’s headquarters in Greenwich, CT where he worked closely with 5 National Account Managers providing strategy and sales support to CVS, Rite Aid, Eckerd’s, K-Mart, F.W. Woolworth’s and others. Most recently, Jamie was President of Thomas J. Sheehan Insurance, Inc. which he started in 1996 with his father-in-law, Tommy Sheehan. Jamie became President after Tommy passed away in March, 2010 as a result of short battle with cancer. Jamie shared ownership of the agency with his wife, Elizabeth Sheehan Hamrick, and current partner, Tim Blanco. Jamie is a past President of Rotary West of Savannah, and is the current Co-Chairman of the Folds of Honor Golf Tournament which provides educational scholarships to the children and spouses of our fallen and disabled service members while serving our nation. Jamie and Elizabeth have two children, Shaw and Lizzie.